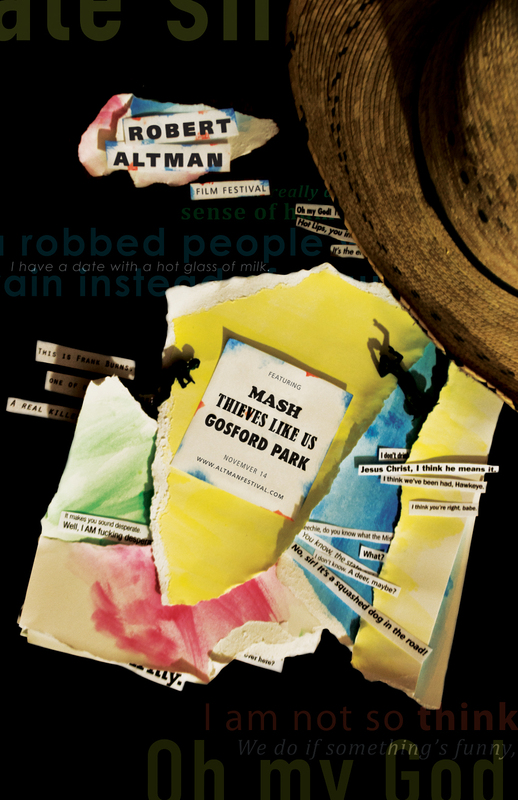 This poster displays a profound characteristic of Altman's work: heavy dialogue. Torn paper and snippets of quotes from the featured movies are layered to create the sense of significance and depth dialogue has in this director's work. Additionally, elements that pertain to each movie are included amongst the layered paper. A poster designed to showcase the style of psychologically thrilling and surrealistic film director, Spike Jonze. A light bulb was broken and photographed by me to suggest the breaking away of cliche ideas and stepping into new boundaries beyond the limits of a contained space. This poster also includes hand-done typography and a watercolor background created by me.